Audio production is a time-consuming process and for those whose income depends upon their ability to create polished products at a steady rate, workflow speed is critical. The need to complete projects in a timely manner is often at odds with the industry’s insistence on meticulously designed, professional results—brilliant audio production just does not happen overnight. Faced with this conflict, those in the business have had to develop time-saving work methods that do not sacrifice quality for speed, with one of the most popular methods being the utilization of templates, which can be either homemade or bought online. While homemaking templates is a cheap option, nothing beats the ease of using premade templates. At this site, we offer a large a variety of Logic Pro 9 and Logic Pro X audio templates for low and reasonable prices. Template usage presents a number of advantages to those in the audio production industry. The most obvious benefit of using a template is that it saves time by giving the producer a starting point for his or her new project. 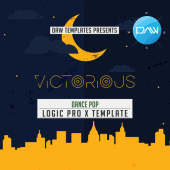 They simply find a template with qualities similar to the track that they are making, purchase and download it, and open it up in Logic Pro. From there, they have a rudimentary framework with which to work, meaning that they can jump right into customizing the track to make it their own. For projects that require the creation of multiple tracks that will be used together, templates can be enormously helpful in establishing a unified, though varied, sound. Each track may be customized and tweaked differently and all may have a unique sound, but by using the same template for each, the tracks all share the same framework, giving the project a more cohesive sound. Time is money, right? Using templates rather instead of starting from scratch each time allows producers to finish projects much quicker, which enables them to take on more work and make more money. A premade template can spark new ideas inside the head of the producer or introduce him or her to new techniques or ways of using different tools that they would not have thought of by themselves. This allows them to grow as producers and create tracks that are more complex and unique than those that would have been created if the producer had not allowed for the input of someone else’s creativity. 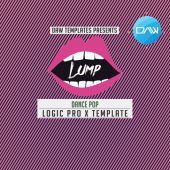 We offer templates for a wide variety of genres, including, but not limited to, trance, trap, rave, pop, synth pop, electro house, and chill house. Our products are polished, professional, and incredibly handy and time efficient, making them the perfect tool for the producer looking to streamline and improve their workflow.